Bryan Dent, force drugs coordinator for West Yorkshire Police. A crackdown on so-called legal highs could see those found selling the substances face up to seven years in jail. It comes as the seemingly harmless new psychoactive substances (NPS) have been linked to a number of deaths in the UK. Legal highs are an imitation of existing drugs including heroin, cocaine, speed and cannabis. With a clever tweak in their chemical make-up, they can’t be classed as unlawful but they are just as lethal as their illicit counterparts. The government has now proposed the Psychoactive Substances Bill which was mentioned in the Queen’s speech last week. It means anyone found dealing or producing products which have a psychoactive effect could face a maximum seven-year prison sentence. Pic to illustrate mephedrone abuse. The ban will apply to both shops and websites but there is currently no personal possession offence. Substances such as alcohol, tobacco, caffeine, food and medical products, will be excluded. Ministers said young people who took NPS were “taking exceptional risks with their health”. The number of incidents recorded by West Yorkshire Police involving legal highs has increased 15-fold in just three years. They recorded 441 incidents between April 2014 and March 2015, compared to 28 between April 2012 and March 2013. Bryan Dent, West Yorkshire Police’s drugs co-ordinator, said he hoped the changes will put an end to people using the substances. He said: “We have been running Operation Nightshot since 2012, a campaign aimed at raising awareness of the potential dangers. As part of this campaign, we have used existing legislation in innovative ways to prosecute suppliers and protect consumers. Legal highs are sold in a variety of forms including powder, pills, capsules, perforated tabs and smoking mixtures. They cannot be labelled as being for human consumption, which means they are often marketed as plant food, bath salts or incense. Research from the Centre for Social Justice (CSJ) showed that there were 97 recorded deaths from legal highs in the UK in 2012, rising from 12 in 2009. The CSJ, an independent think tank, said that the UK has the highest number of legal high users among young people in Europe. Last year 19 young people in Wakefield received treatment for using the products ­– an increase from five the previous year. In Kirklees 36 young people were given specialist treatment for legal high use last year, compared to six in 2013. Calderdale Council’s Lifeline Project, a drug and alcohol service, did not treat anyone under the age of 21 using legal highs as a primary substance. Insp Ian Williams, Wakefield Police’s neighbourhood inspector, said the consequences of people taking the substances can be fatal. He said: “I am pleased to see that the government have recognised the growing issue in communities. “The name legal high can give the impression that they are socially acceptable when nothing could be further from the truth. Insp Williams has now called on all retailers currently selling the products to reconsider. He said: “This is a moral issue for our community and its young people, not just a legal one for the future. Batley Neighbourhood Policing Team co-ordinator Martyn Lee said he hoped the new legislation would help discourage people from using the products. 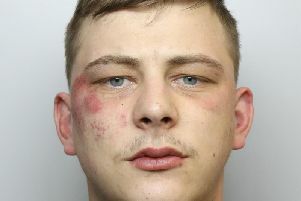 He said: “In Batley and Spen, there have been previous issues with use of legal highs by groups of young people in Birkenshaw and Cleckheaton. This is not to say that there has been a particular problem but more young people were travelling to these areas to meet up and socialise. Officers in Morley say they devote a substantial amount of time to dealing with youths and anti-social behaviour but they say that the legal highs problem is not one they have been confronted by. Crime is often linked to substance use however, and PC Sedgley says that a number of incidents that are attended by officers involve people who have taken drugs or alcohol. For more information about Turning Point call 0300 123 1912 or log onto www.turning-point.co.uk.